Yes, for the last 10 minutes I am folding noodles on my fork! Well, only all this I can do, at this very moment.I have no other option. My husband bought a bottle of lemon juice yesterday and today evening it is found finished. Now husband is questioning me. So I am busy in bowing my head down and pretending to find n fold noodles in my soup bowl.It is a big deal because I have two little kids from my first marriage.Not biological kids of my second husband. I am other person’s first wife and now second wife of my second husband. We both are widowers and remarried. It is a matter of two liters of lemon juice which two little kids drank in one day. May be because there is nothing to snack upon or may be because we are taking only two meals a day. Fridays and Saturdays we take only two meals a day because third meal interrupts the kids studies. This is what my husband feels. So this evening it was a big mistake to make noodles and may be he is quite angry. 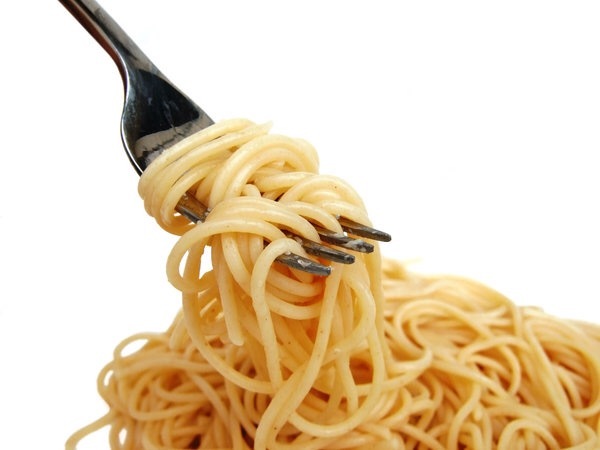 So to avoid his big insulting me looks in eyes I am busy in folding the noodles on my fork. Life was not always like this actually. Life was easy and little happy when my younger stepson was staying here with us. We used to go out, shopping and eating a lot. But now everything stopped. We go to cheap dinning outs. We watch less tv. We don’t go grocery shoppings too. So thinking all of this I am wrapping the noodles in my fork. Remembering my past life with first husband is no use because he was a die hard foodie person and my home was always full of million things to eat all the time. I was house controller. He used to take money from me. All his building construction money was in my hands. I was his director. He was my sleeping n working partner as my furst husband used to joke to me. But now life is different, as I am remarried to NRI who works out of India. It is not same life. Convincing myself for this fact I am trying to fold noodles on my fork. I need to tell my kids to not touch anything in the fridge and kitchen so that he can’t scold me and may be I should buy a big bottle of juice for them. May be I have to accept that little money paying part time job to go on my own expenses to buy few things for my kids. May be this year again I am not able buy anything for myself because kids needs are getting higher so planning all this I am busy in folding noodles on my fork. Spices, snacks, kids lunch boxes, water bottles, stationary, undergarments, shoes and clothing all need money. How I cope up with these demands only my God knows. How I work and manage money only my heart knows. Several part time jobs of marketing and sales is not an easy job. My eye power is increased due to my long hours of working on computer. But my kids never saw any shortage in their lunch boxes or life standards. One day they will forgive me for getting remarried. In this hope I am busy in folding noodles in my fork. All day being alone I know how I pass my time. I am discarded from local families of my husband’s social circle. Not my fault but they all feel that why he got remarried? He is not ready to go out to meet anybody because he feels something in heart to go same families with second wife with kids whom he visited once with first wife. So going through a very lonely life in Qatar I feel empathy for my husband too lot many times because we both are facing a tough phase so why to fight with him for tiny issues. So being quite I am busy in folding noodles on my fork. After getting married first time I learned so many things from my business class husband. How to control office, construction sites and handle labor. How to give back to the society and how remain humble in the most tough situations of client’s hyper aggressive moments. But with my second husband I learned one thing only i.e. how to live most simple life. He is my own Warren Buffet. You see his clothes, shoes and way of living. I gave away lot of clothes since three years because I feel guilt of being too classy. I stopped visiting malls because it feels useless. I look back at the society and feel laughing strong at their mindsets. I am not happy somewhere in my second married but yes at least my both kids are under strong wings of very simple but studious person. They are under that person’s parental control who worked so hard since his childhood to reach such a high post.He is in house for their exams, writing multiple sheets for their studies and finally gives a mild smile when they bring good marks in tests. So thinking all of these things I am busy in folding noodles on my fork. We the wives have two options to see the world after marriage. The way we feel it is and the way our husbands try to show us. It is a joint venture being married. It includes respect for each others sentiments, emotional setbacks and families. A single lack in anything means you are selfish to trying to dominate the other person. Being neutral is safer but not a solution because lot many times we repent why we didn’t paid attention to the spouse.In my case it happened twice. So now I feel being bit precautionary before venting out my frustrations or anger on my husband.He is much older to me. He is also struggling hard to settle down his grown up kids.So without being judgmental on his inquiry on juice I am just busy in wrapping noodles on fork. बीमारियाँ व वज़न दूर करने के दस उपाय!